^ Smiles, Samuel (1866). Self Help. London. ^ Musson, A. E.; Robinson, E. (June 1960). “The Origins of Engineering in Lancashire”. The Journal of Economic History (Cambridge University Press on behalf of the Economic History Association) 20 (2): 209–233. JSTOR 2114855. ^ Evans, Eric (1983). The Forging of the Modern State: Early Industrial Britain. Longman Group. p. 112. ISBN 0582489709. 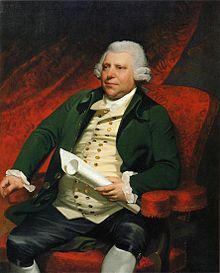 "Arkwright, Richard (1732-1792)" . Dictionary of National Biography (in English). London: Smith, Elder & Co. 1885–1900.